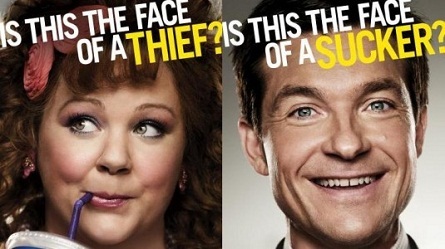 Role Gender Change to Cast Star of IDENTITY THIEF! 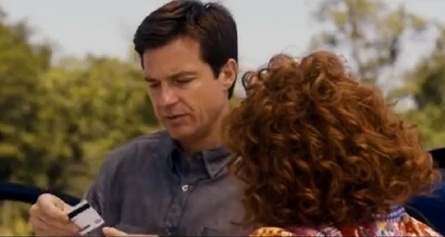 Directed by Seth Gordon (Horrible Bosses), “Identity Thief” tells the story of Sandy Bigeow Patterson, played by Jason Bateman. One day at the gas station, Patterson learns that his credit card has been maxed-out. He’s become the latest victim of identity theft. 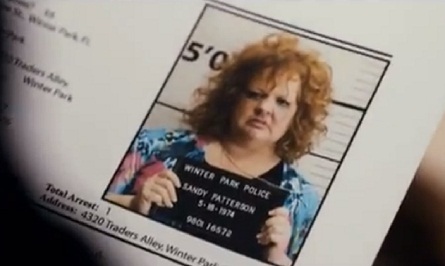 After being arrested from a missed court date in Florida he discovers it’s a women (Melissa McCarthy) in Florida who’s claimed ownership of his name. Patterson is told by law enforcement that the thief would have to be physically standing in front of them in order to do him any good. So, Patterson suggests he travel from his home in Colorado to Florida to capture the criminal. His wife, (Amanda Peet) tries to talk him out of making the pilgrimage for fear of the danger he’d be putting himself into. He’s confident he can handle it, calling the thief of his identity a “hobbit”, and “Bill Bo”. What could have been an easy citizen’s arrest, extends into a wild goose chase that also involves fierce bad guys shooting after the “Sandy’s”, and a playful cowboy named “Big Chuck” (Eric Stonestreet) who’s been invited back to Diana’s room! Before it’s all over, Patterson soon learns he bit off more than he can chew! Actor Bateman said during a recent Universal Pictures junket interview that he was open to doing the film because the nature of the storyline read similar to “Midnight Run”, “Trains, Planes, and Automobiles” – movies he loves. Bateman said that when he saw McCarthy in “Bridesmaids”, he talked Universal into changing the male role into a woman. They said “yes” if she’ll do it. So, Bateman was calling McCarthy up and taking her out to lunch he said. McCarthy jokes, “It’s tough working with him…If I get mouthy, he throws me down on the asphalt.” Bateman says he doesn’t remember doing it, and that McCarthy can be a lot of trouble herself, she “loves to swing a left and a right”. McCarthy said his [Bateman’s] neck looked “soft and punchable.” Bateman said she faked her punches pretty good. 2) Don’t leave your personal info out. 3) Don’t give out your social over the phone. That could turn into a very bad day.